It is little wonder that Croydon Council lacks the money to pay for lollipop school traffic patrols or to maintain the borough’s historic links with Arnhem, and is making more than 60 staff members jobless just in time for Christmas, when they continue to spend our cash like drunken sailors when it comes to their mismanaged property speculation. And the really worrying thing is, senior council officials appear to be in denial of the real multi-million pound costs of their errors. This is the council that recently moved into new offices that will cost us all £140 million, but which they tried to claim was being built for nothing. This is the council which in 2008 paid a top-dollar price of £19.2 million to buy the Davis House office block, just as the global economy was taking a nose dive. The purchase was done as part of the council’s 50-50 joint venture urban regeneration scheme with builders John Laing, called CCURV. The council described the purchase at the time as a “sound investment”. In 2012, the “sound investment” was going so well that Croydon Council took out a £1million loan to keep the Davis House deal afloat, though they somehow managed to forget to mention the loan at any Town Hall meetings. Then, in October 2013, Croydon Council paid £4 million to buy Davis House – the property that the council already owns 50-50 with John Laing. 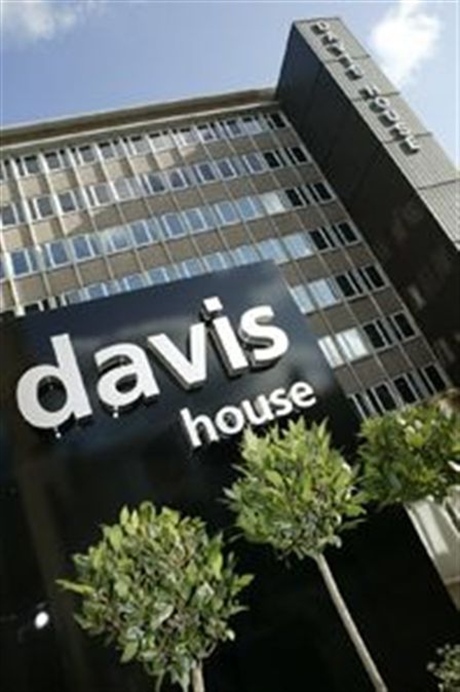 This might suggest that the company which bought Davis House for £19.2 million, and needed an additional £1 million loan, has managed to lose more than £15 million on the deal in five years. Croydon Council happens to be 50-50 partners in that company. But that’s not the case if you happen to be Richard Simpson, the council’s director of finance and assets, working in the chief executive’s department in Fisher’s Folly and is collecting a cool £100,000 in salary each year (Simpson, we understand, is not among those facing redundancy over Christmas). Which is accurate only if, like Simpson, you choose to ignore that the 50 per cent owner of Davis House LLP, who have sold up for £15 million less than they paid for it, is … Croydon Council. The spin from the propaganda department at Fisher’s Folly is that the council will make money from Davis House by renting out office space. Maybe. Eventually. But that will be made all the more difficult to achieve while Croydon Council is using riot recovery money from the Mayor of London to offer to businesses a year free of business rates in six other office blocks in the town centre, all of them under-occupied, including the new-build Renaissance, which is also offering 18 months rent-free on top of the rates offer. So effectively, Croydon Council has taken a £15 million hit on Davis House, to then launch it on to the commercial property market at exactly the time it is using public money to under-cut its own rental proposition. This entry was posted in Bernard Weatherill House, Business, Croydon Council, Nathan Elvery, Planning, URV and tagged Christmas, Croydon, Croydon Council, England, London, London Borough of Croydon, Mayor of London. Bookmark the permalink. Richard is technically correct as you say. It’s Davis House LLP that appears to have incurred the loss. Research of the internet will show that both Laing and the Council have been keen to claim their 50% share in this (until now?). I suspect that delivery of the new offices (BWH) may have been difficult without the Davis House site and if so then some value will be recovered to the balance sheet.